With all her favorite colors commingled together, the Ventress comforter set sets the stage for a dreaming retreat. Fanciful and flowing, the sophisticated floral pattern is pure artistry. 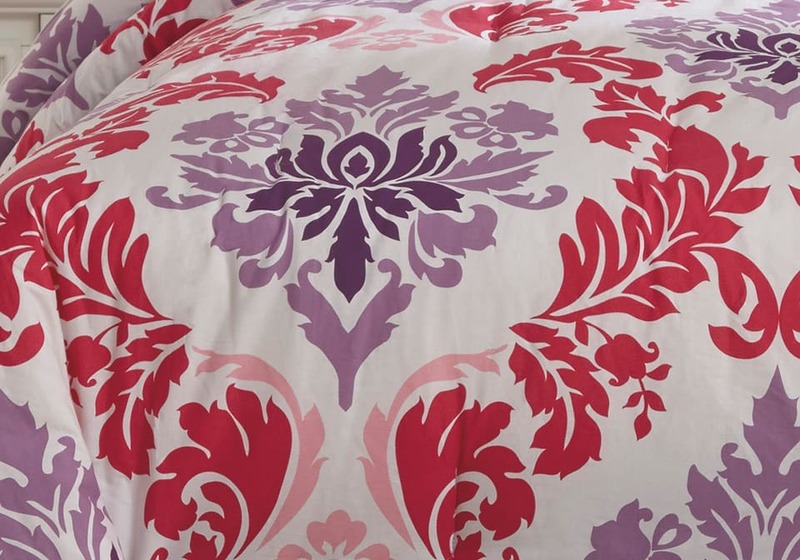 2-3 Piece Comforter Set – Includes Comforter and 2 Shams (1 in Twin). Bar Tac Quilted Motif Design in Shades of Pink and Purple. 200 TC. Cotton with Polyester Filling. Machine Washable.